I've been decorating. I can't wait to show off some of our Christmas decor. I just love it this year. I started decorating on Thursday night after a little post Thanksgiving meal nap. The mantel was the first thing to come together. It took about 4 days of nearly non-stop decorating. 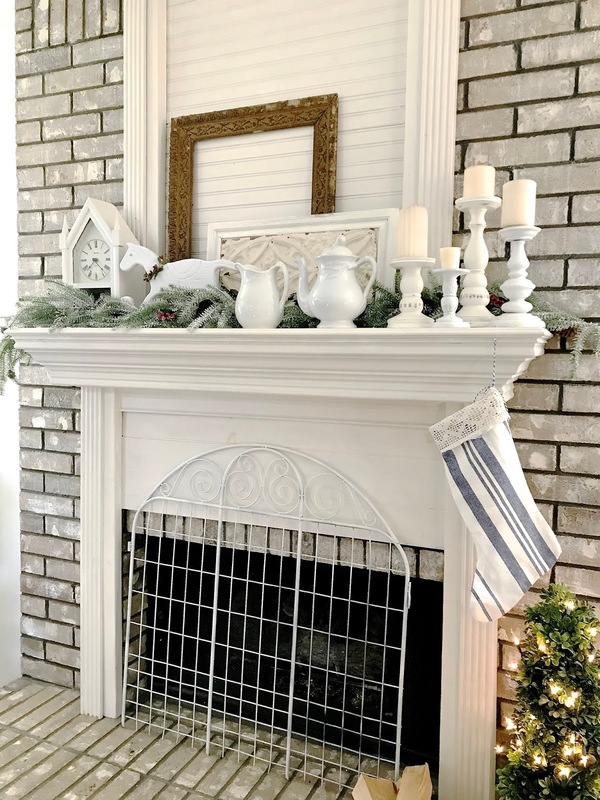 Of course most people don't repurpose or paint furniture as a part of their Christmas decorating. I'm so excited about what I've done and I can't wait to show it to you. Most of it is crafted or thrifted. I picked up only a handful of things retail. I've had a blast redoing 80's Christmas decor. This is what I'm working on today. 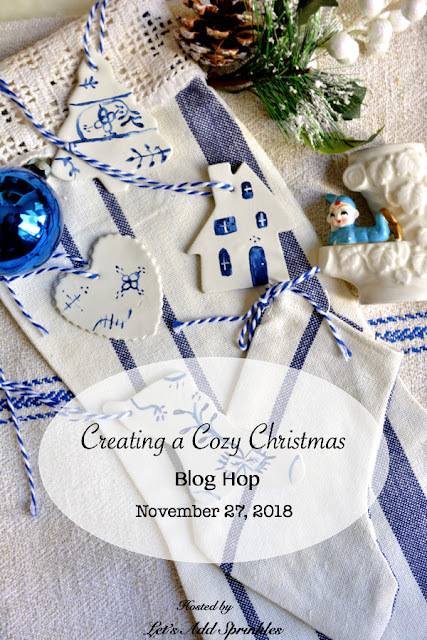 I hope you will stop by our Creating a Cozy Christmas Blog Hop. The Texas blogging ladies have come together to share some of the things that they are creating. 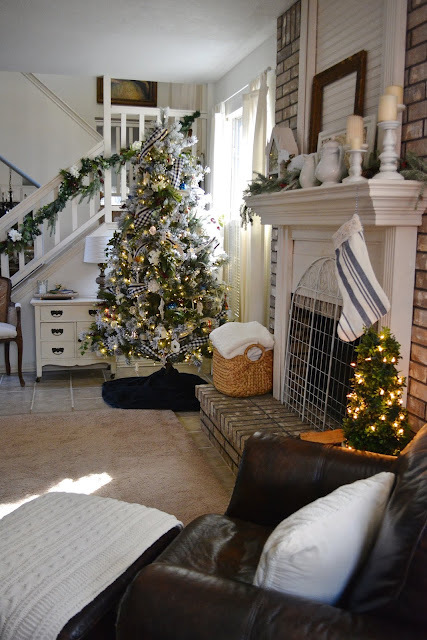 Our feature this week is Debbie from Debbie Dabble's Christmas blog. A blog just for Christmas posts. Fabulous. I had no idea that there was such a thing as chalkboard tape. I need this in my life. Lovely decorations Katie, a pleasure to see. Thank you for hosting your 46th Keep in Touch. 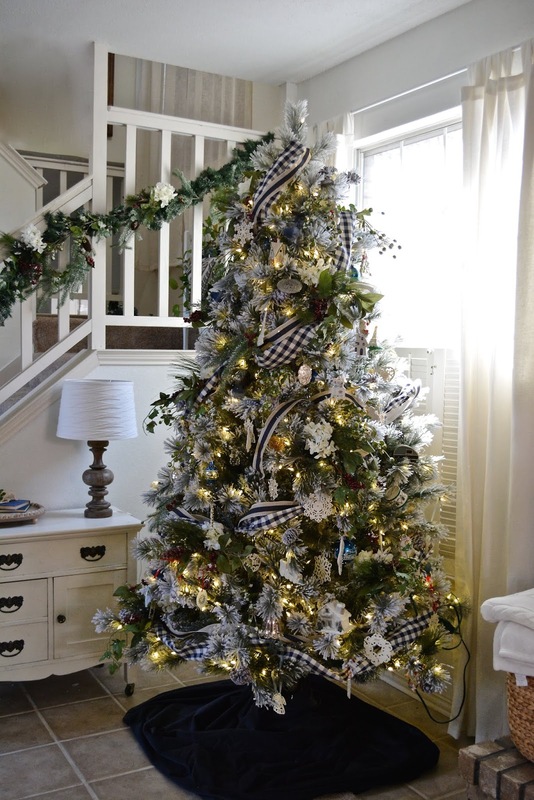 Your black and white ribboned tree is lovely. Thank you for hosting each week. I know it must take a lot of work. Love the tree ribbon, and no, we are not normal. btw, I'm buying you a pumpkin orange door for Christmas, tehe. Thanks so much for hosting each week, Katie!! Thanks too for the feature!! I bought the tape in Michael's..I will be giving you a Shout Out on Google+, Face book and also in my next post!! Katie, I love your decorations, especially that buffalo check ribbon on your tree! And the chalk tape?! Awesome...going to have to check that out! Who knew! Thank you so much for hosting! Hugs! Katie, thanks as always for hosting the weekly party. I see the way a fairy tale, joy and Christmas mood can be created here. Your blog helps us to do some decorations. Great post!